You can convert your current waiver by using our online waiver creating tool. Having trouble creating the waiver template? No problem! 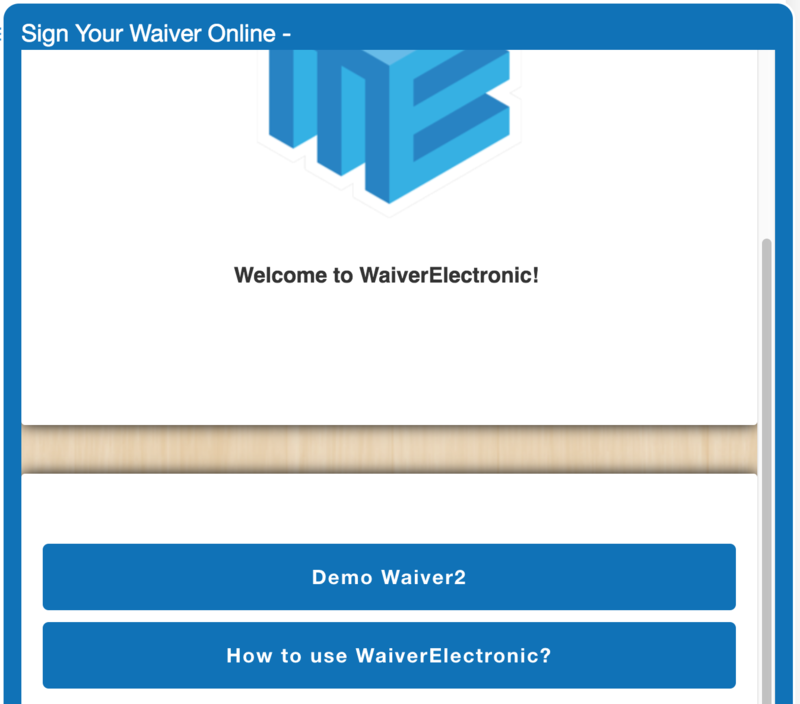 Email a copy of your waiver in Word Doc format with your login email address to faq@waiverelectronic.com We will create your waiver for you within 24 hours. You can share the waiver link to your customers. (email, your website or just open the link in a computer). 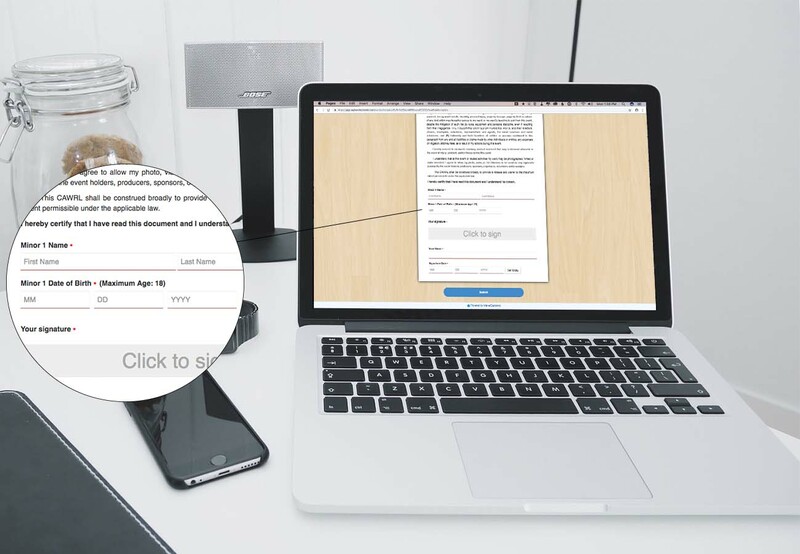 Customers can sign the waiver before coming to your site. We have Apps for mobile devices available both on Android and Apple device. You can search "waiverelectronic"(one word) in app store or google play. 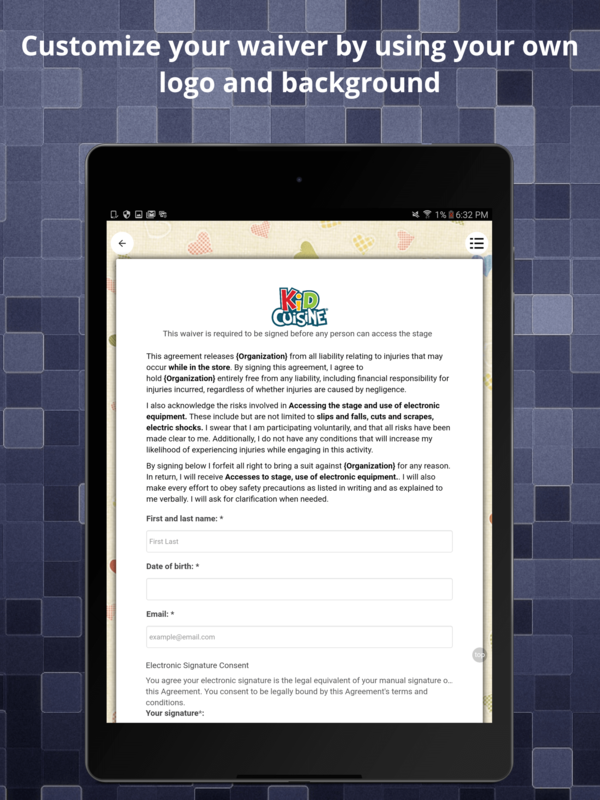 You can download the app and turn your iPads or Android tablets into waiver kiosk. Switch to airplane mode? bad internet connection? No problem! 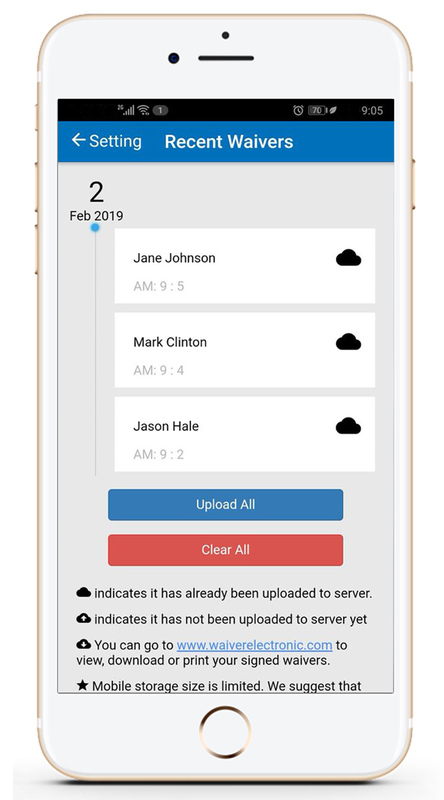 You can store locally on your phone, iPad or Android tablet and upload waivers later whenever you want by one click. 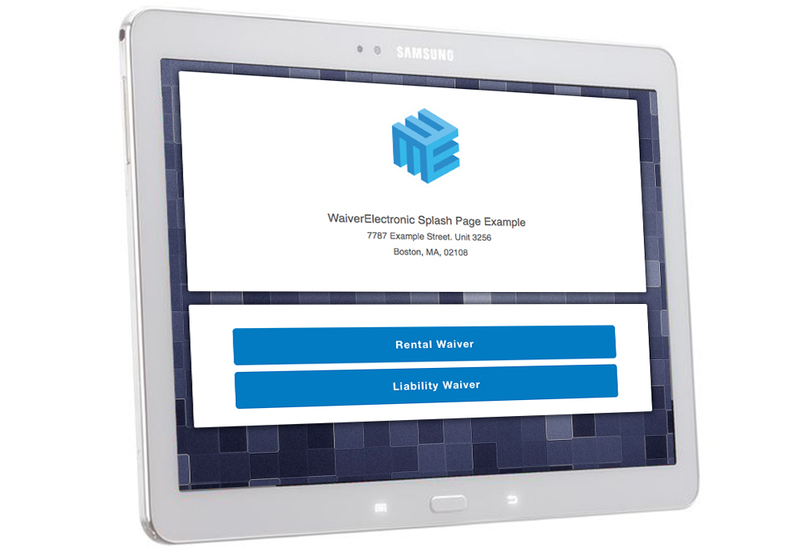 Create a splash page. 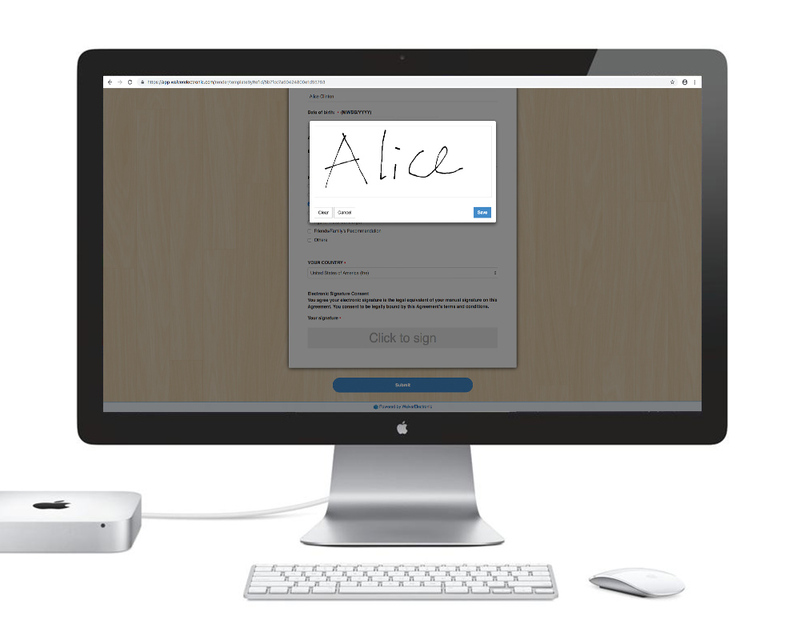 Let your customers select and sign electronic waivers by themselves. Set up your splash page. Copy and paste your splash page url to your website and use it in your reception desk to let your customers sign waivers by themselves. You can set the minimum and maximum age restriction on your waiver online release form. When your participants fill waivers on iPads, tablets or computers, our system will prevent participants who are not qualified from submitting waivers. You can customize your waiver by using your own logo and background. 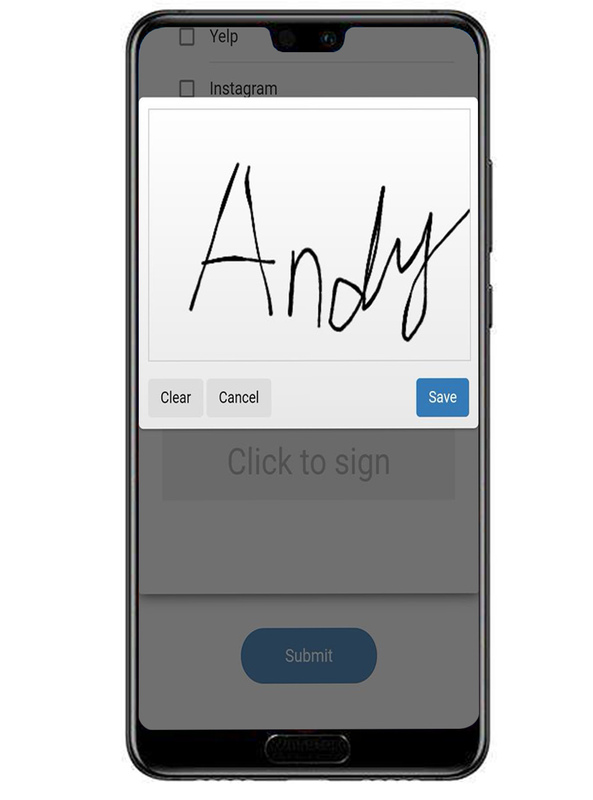 By simply typing the name of your customer, you can retrieve his/her signed waiver in a few seconds. 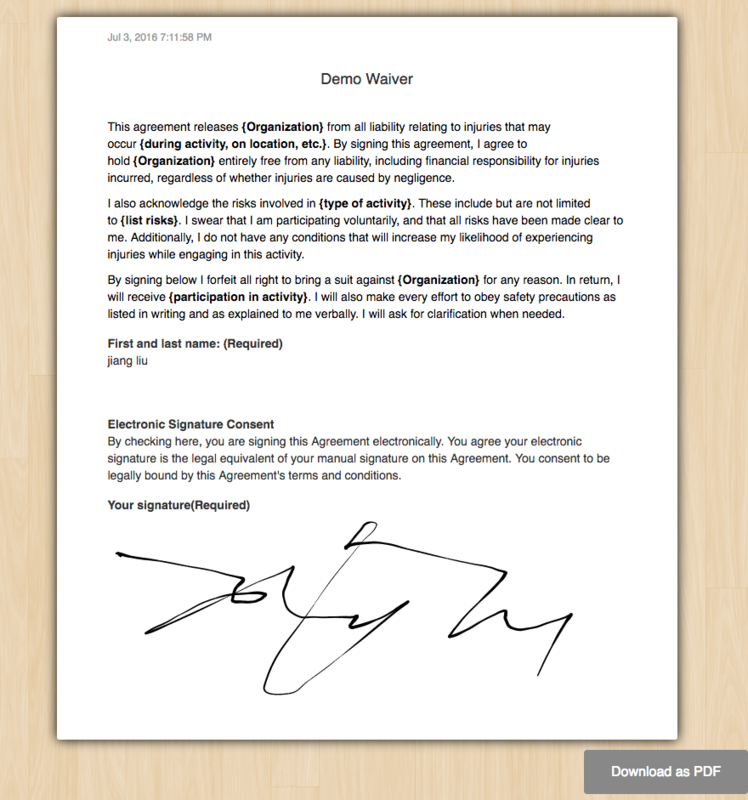 You can download, view and print any signed waivers in pdf. Your waivers are securely stored in our database forever. Add notes with online waiver signature to your waiver. 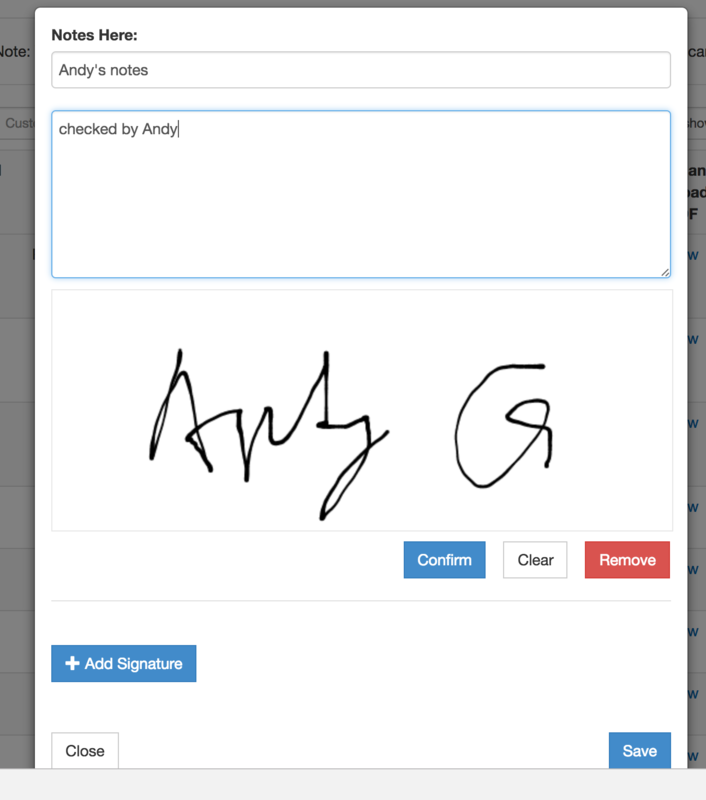 You can add notes with online waiver signatures to your waiver. Attach image to your online waivers. 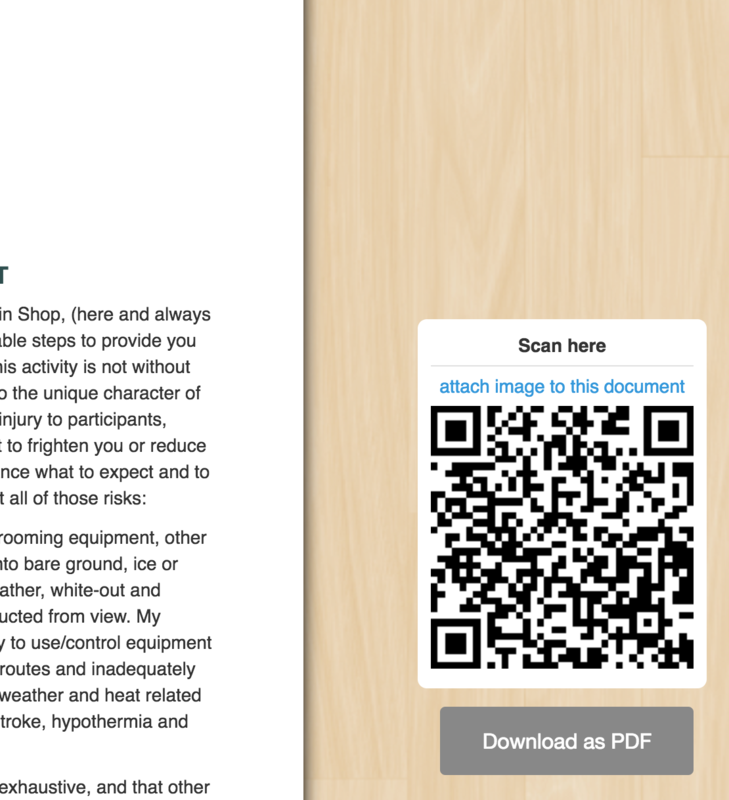 You can scan the QR code using our WaiverElectronic App, then take a picture and attach it to your waiver. 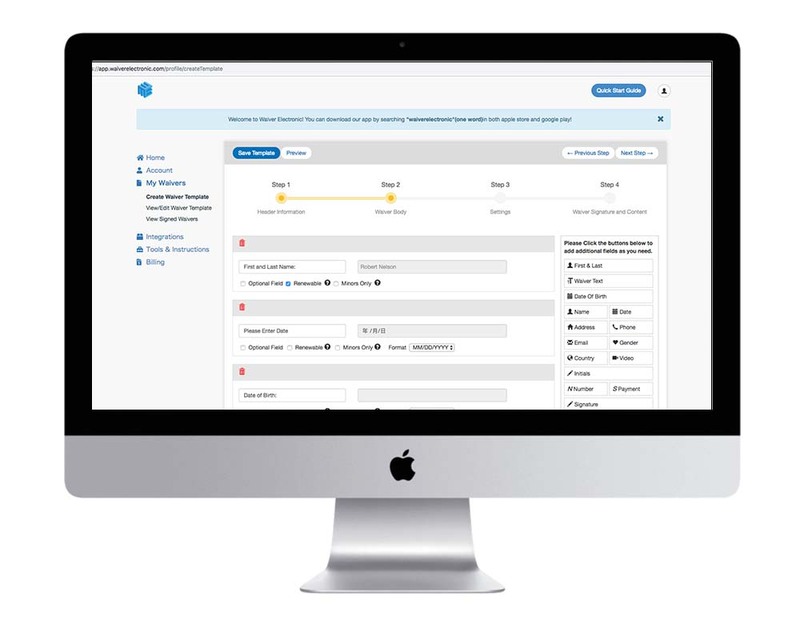 Returning customers don't need to fill all the fields in the waiver again any more. You can simply search customer's name and click 'Renew', then all the renewable fields will be populated. 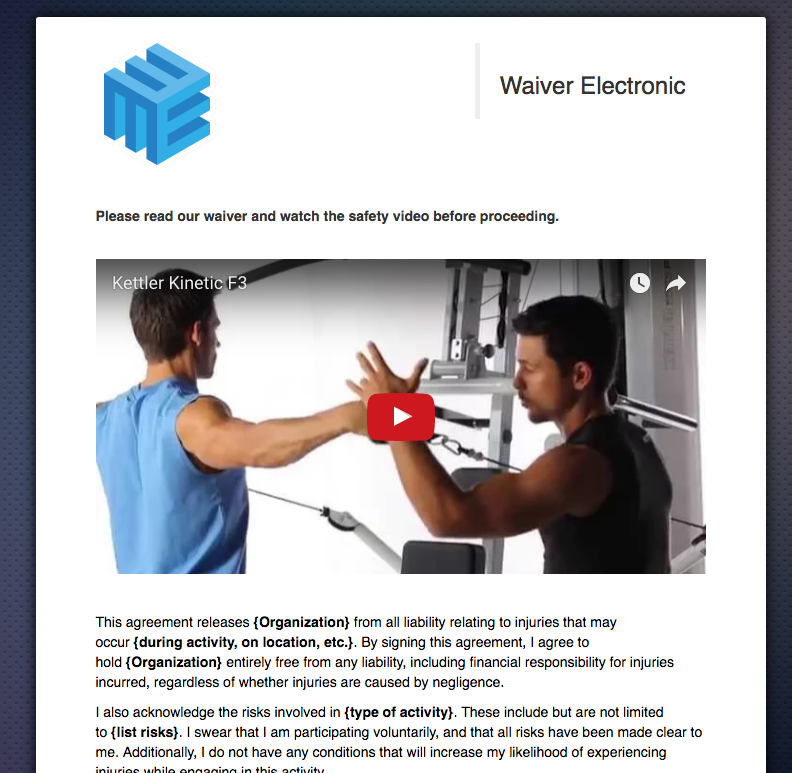 Let customers watch video in your waiver. Simply add the Youtube video link. 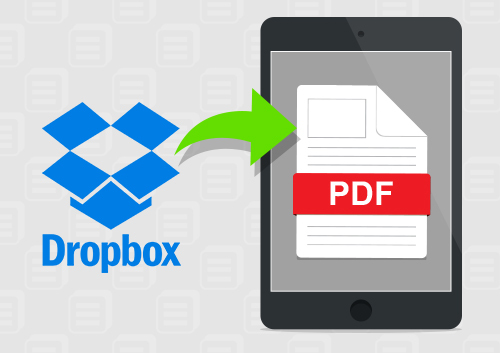 Every signed waiver will be uploaded to your dropbox automatically as a pdf file. Every signed waiver will be uploaded to your google drive automatically as a pdf file. You can simply copy and paste the code provided by us and add the online release form to your website. 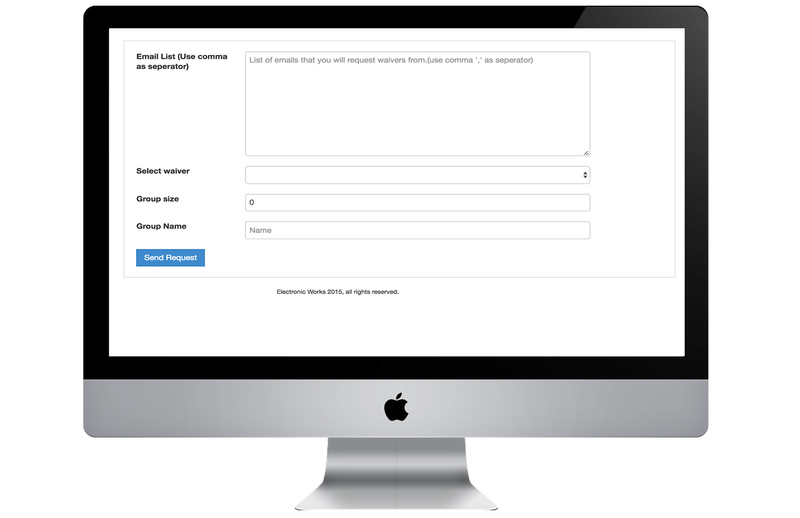 Your customers can go to your website and fill waivers. You can choose to enable the 'Email Customer' feature. You customers will receive a copy of his/her signed waiver automatically. This feature is for both online waivers and waiver app. 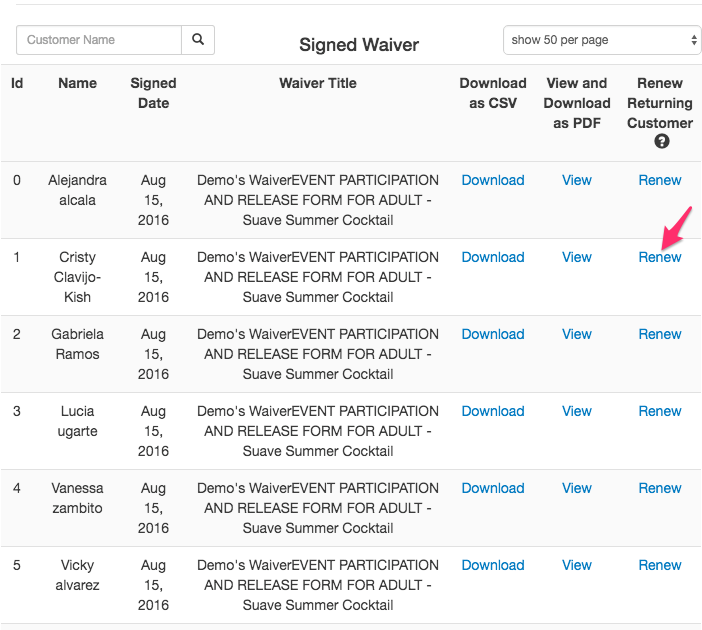 Create a waiver group and track the completion of digital waivers in this group. You can create a group for your participants. 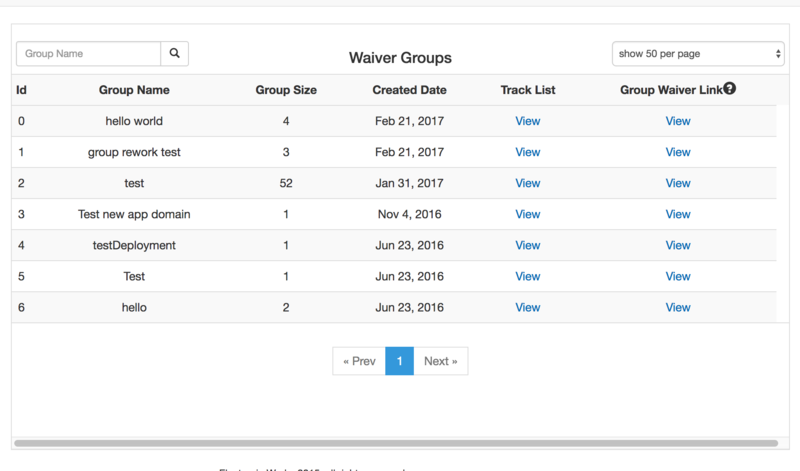 Provide the waiver link of the group to your participants or group leader and use the track list to track the completion of waivers in this group easily. 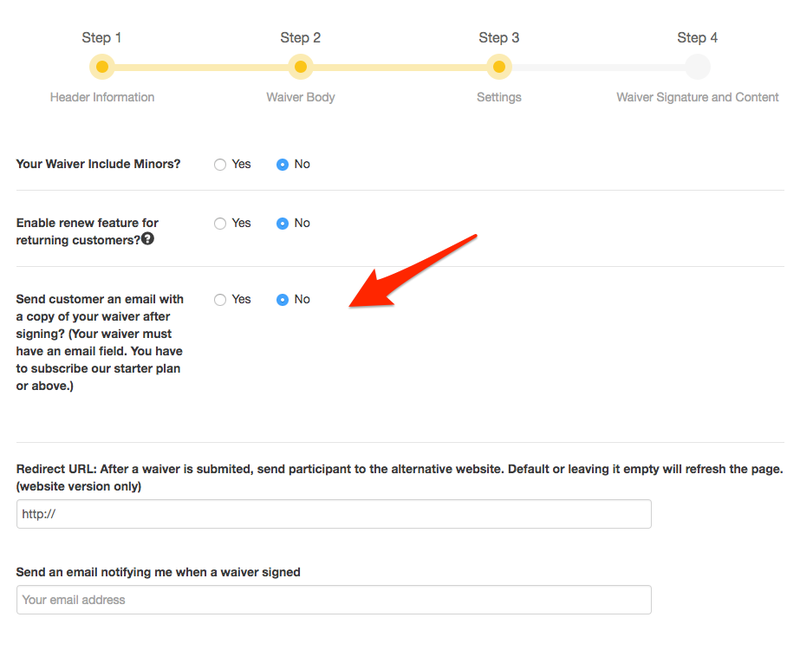 You can connect your MailChimp account to your waiver service! 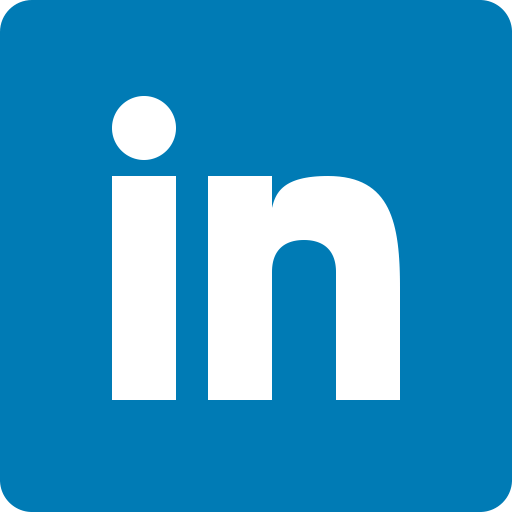 Your participant's email addresses will be added to your MailChimp email subscription list automatically. 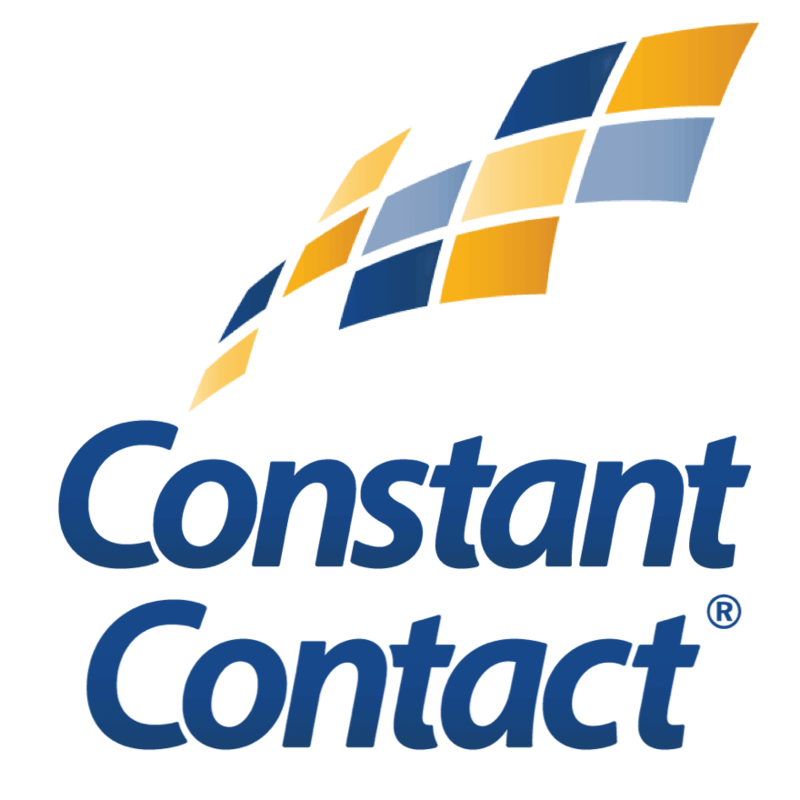 We support integration of Constant Contact now! Your participant's email addresses will be added to your Constant Contact email list automatically.